1924 Morris Cowley Bullnose 26hp. Thanks to oldcarandtruckpictures.com for borrowed img. A convertible with with multi-jet whistling carburetor and foot-cooking propensities. The trademark bullnose radiator was inadequate, resulting in an uncomfortably hot foot-well. Passengers used to hang feet outside over the door to keep them cool. The Smith carburetor used to whistle cheerfully, warbling up and down according to how many jets were being called on. The car had a dickey seat (rumble seat to you) which, in an emergency in decent weather, could carry a couple of people in throne-like elevated splendor. Balanced significantly behind the rear axle, they lightened the steering geometry to the point where it was hell for the driver to keep the car in a straight line. The roads were full of these cars, weaving down the lanes, chortling happily, with passengers’ feet propped up on the side of the car in the cool slipstream. The driver, however, with pedals to push and luxury to eschew, had dedicated, well-done feet. The Cowley was the cheap version. 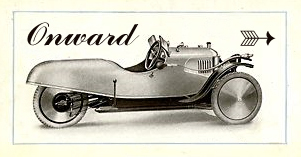 The Oxford, the Ritzier form, boasted a little more chrome and a steering wheel with 4 spokes instead of 3, but little else to distinguish it, as far as I could tell. Cowley (near Oxford) was, I think, the early home of William Morris, a paper boy, then a bicycle repairman, then the fellow who, with his two cars, “made the roads of Britain British” (hitherto dominated by the French). He received a knighthood, then a baronetcy, and ended up as Lord Nuffield -- a location near his boyhood home, I think. 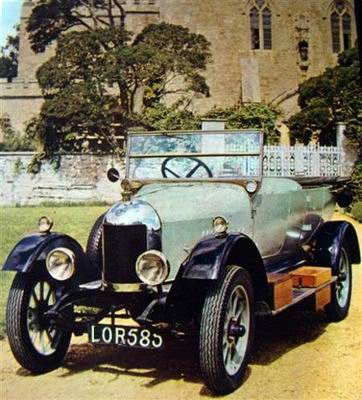 The Morris car’s great rival was the Austin.